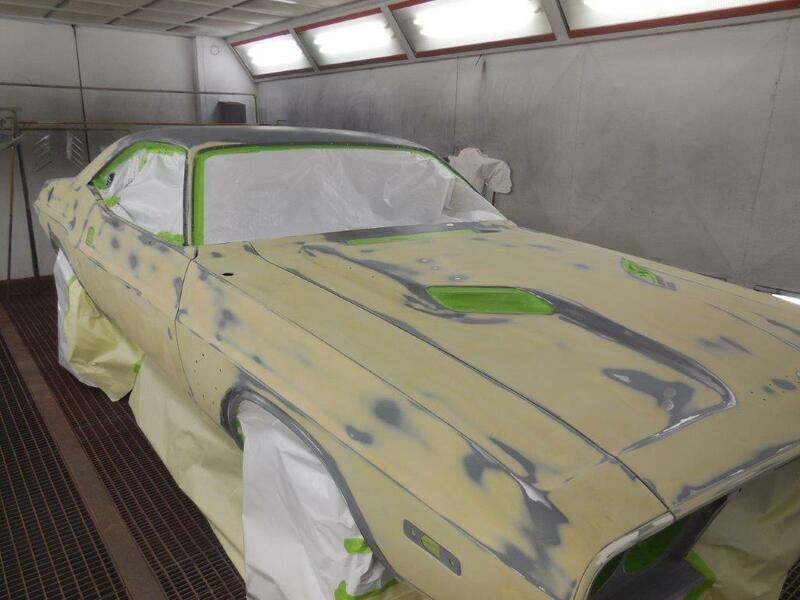 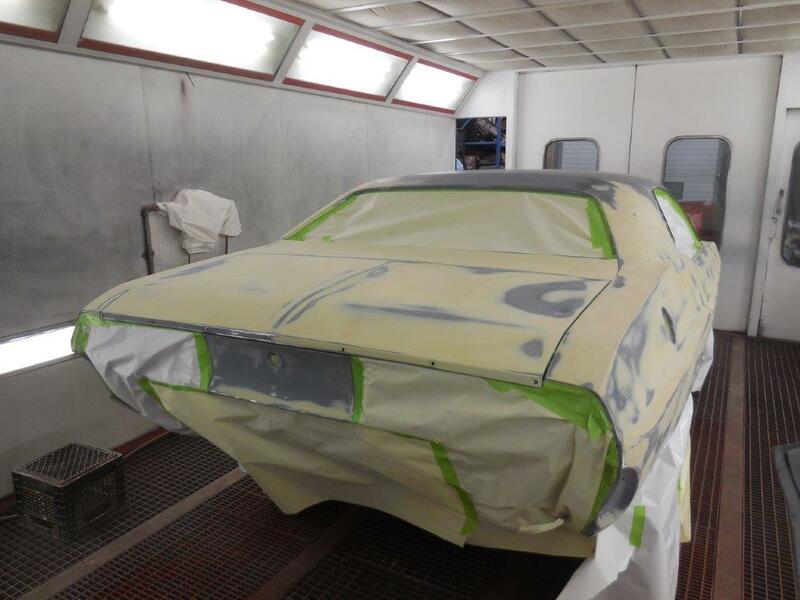 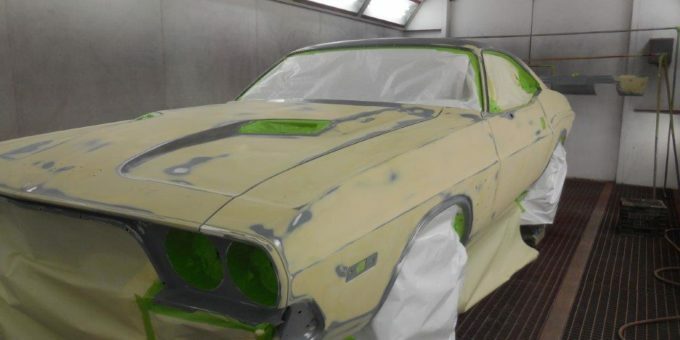 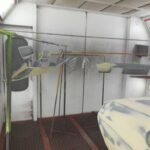 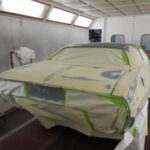 The 74 challenger is back in the paint booth receiving its first round of primer. 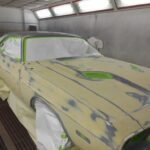 We will put 3 coats of a spray able putty on it the first time. 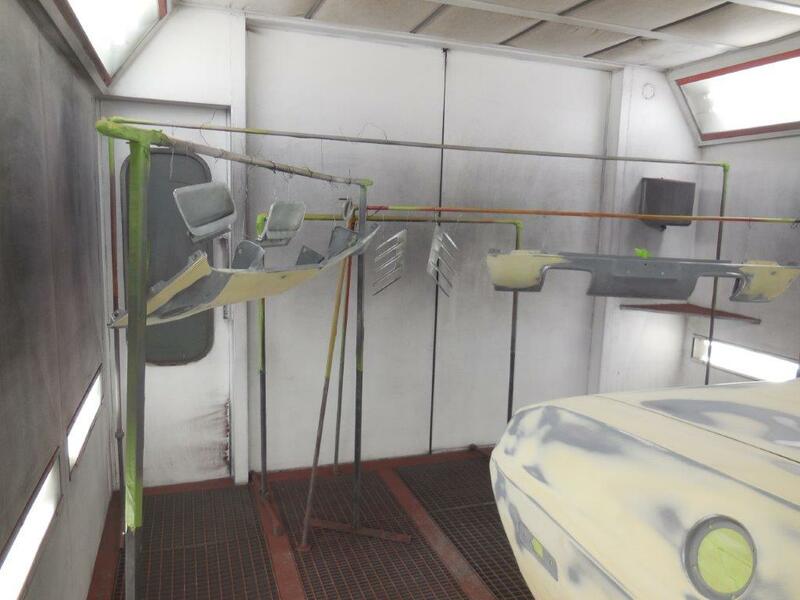 After that is dry we will take it out of the booth and block it all down. 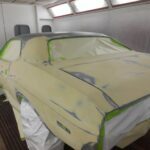 We will then put it back in the booth and apply four coats of high build primer. 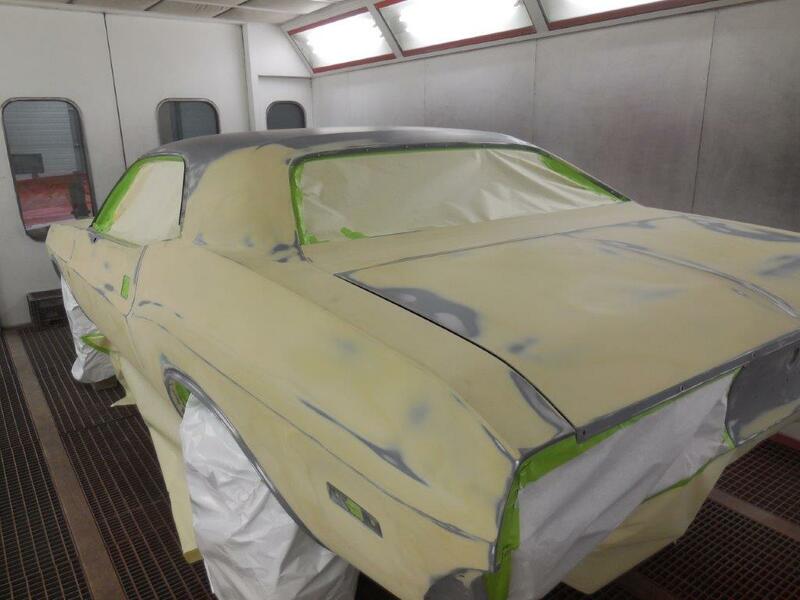 After that is dry we will take it back out of the booth and block that primer down.